Saint Paul’s Cathedral is a Roman Catholic cathedral located in the city of Abidjan, Côte d’Ivoire. 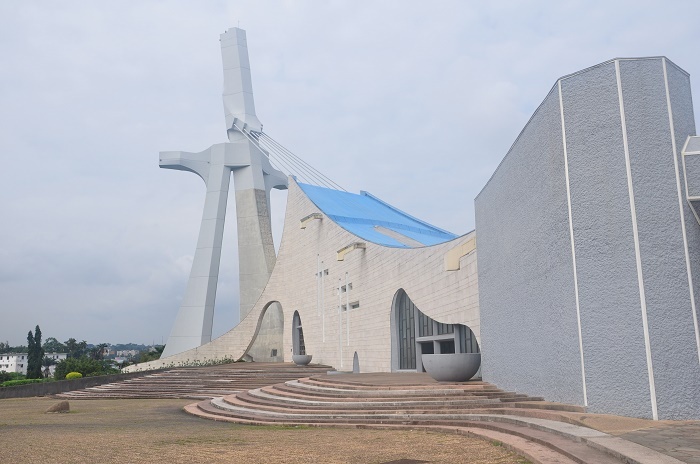 The cathedral, which was designed by Italian architect Aldo Spirito who was selected by Côte d’Ivoire’s first President, Félix Houphouët-Boigny, to be the artistic force behind his ambitious project–to build a world-class cathedral. Saint Paul’s Cathedral serves as the mother church for the Roman Catholic Archdiocese of Abidjan. The first stone of the cathedral was consecrated on May 11, 1980 by Pope John Paul II during his first pastoral visit to Côte d’Ivoire. 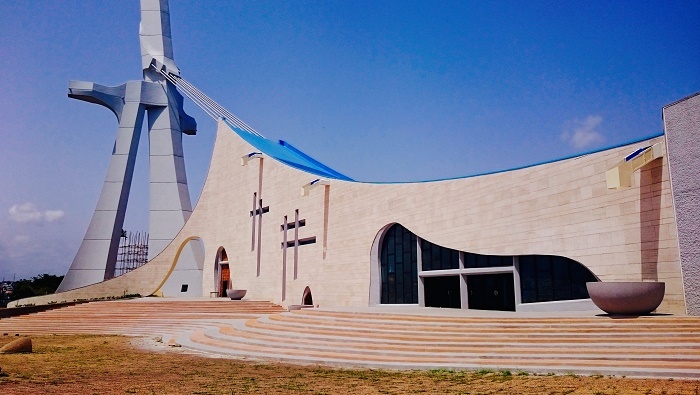 He further dedicated the building upon completion on August 10, 1985 during a second visit to the country to lay the foundation for the Basilica of Our Lady of Peace (Yamoussoukro). 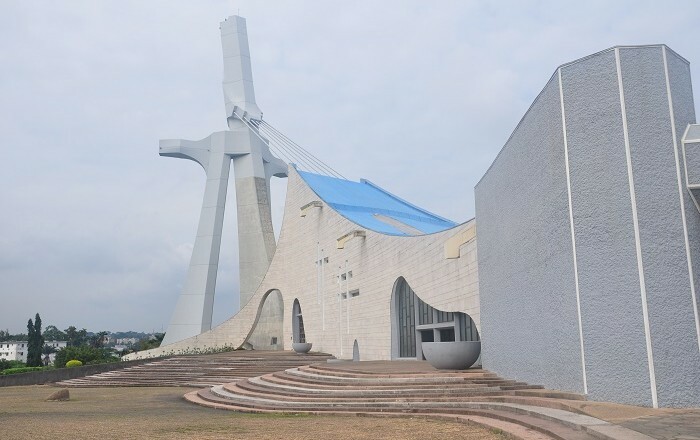 The cost of implementing this modern architectural edifice, reputedly the second largest church on the African continent (as of 2002), and one of the largest cathedrals in the world, was estimated at $12 million. 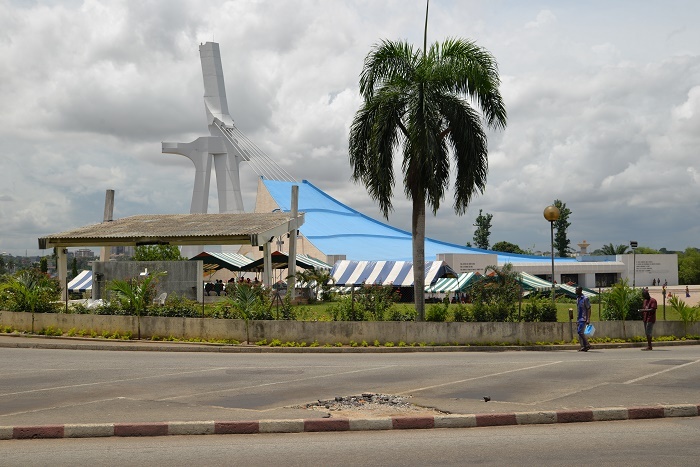 Architecturally, the cathedral is unique and modern, though built to meet the specific aspirations of the ethnic people of Côte d’Ivoire. The Cathedral has become a landmark on the city skyline, where the broad sweeps of its ultra-modern crucifix design dominate the city skyline. 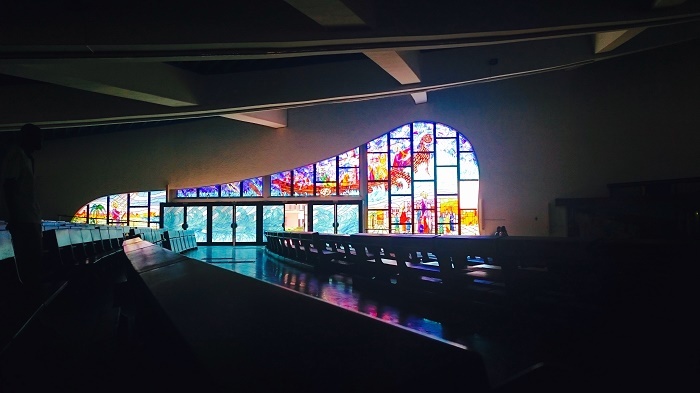 While the church has suffered some wear and tear as a result of 2011’s post-electoral conflict, its stunning, panoramic stained-glass windows are intact. 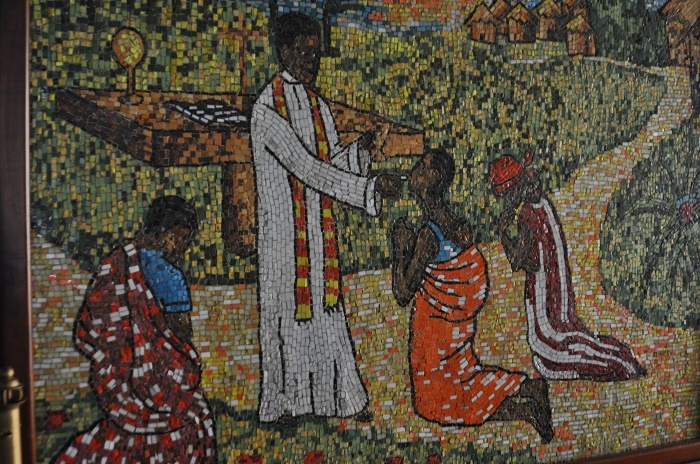 The church also boasts a set of beautiful, modern mosaics depicting the Catholic Stations of the Cross. They are unique in their integration of African people, landscapes and lifestyles with the biblical stories all Christians know and love. 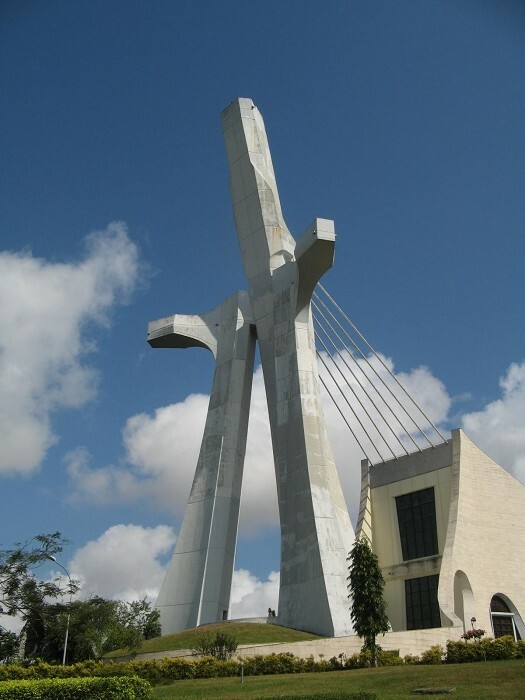 The structure of the Cross, which is winged on both flanks, is held in position through seven cables which are anchored to the main building of the cathedral which is in a triangular shape and it creates an elevated vision that the structure is being tugged towards the lagoon. Symbolism represented by the overall structure of the cathedral and the cross is of Jesus Christ spreading his arms, akin to the statue of Christ in Rio, with metaphysical significance of pull towards the ultimate trinity. 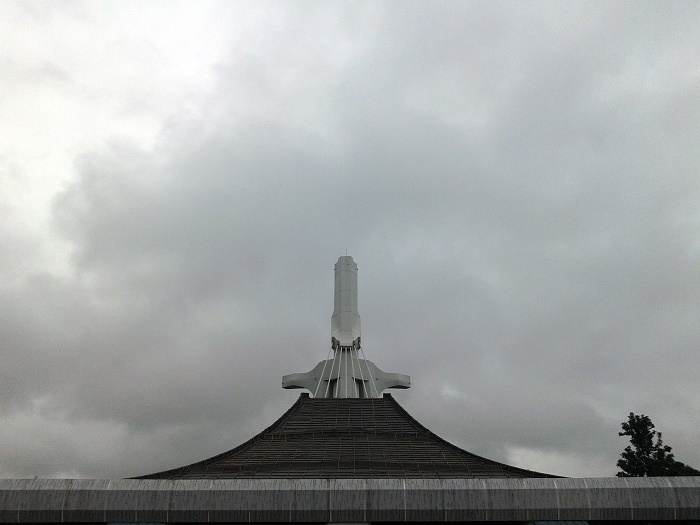 The external feature of the cross of the cathedral is also inferred to depict a view as though a devotee is bent on his knees offering prayers with his cloak flying backwards merging into the attractive concrete slab which is integral to the cathedral’s roof. The cathedral has a total area of 4,300 metres (14,107.61 ft), with 3,500 metres (11,482.94 ft) of usable space). 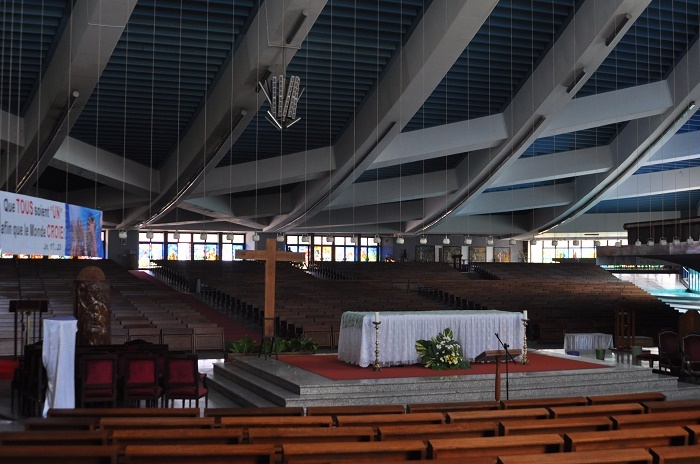 It can accommodate 5,000 devotees, with seating for 3,500, with the remainder being standing space. 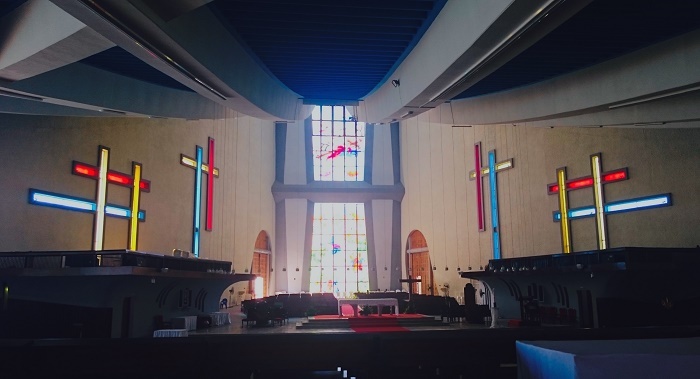 The cathedral has six stained glass windows covering a total surface area of 370 metres (1,213.91 ft), which were also designed by Aldo Spirito. 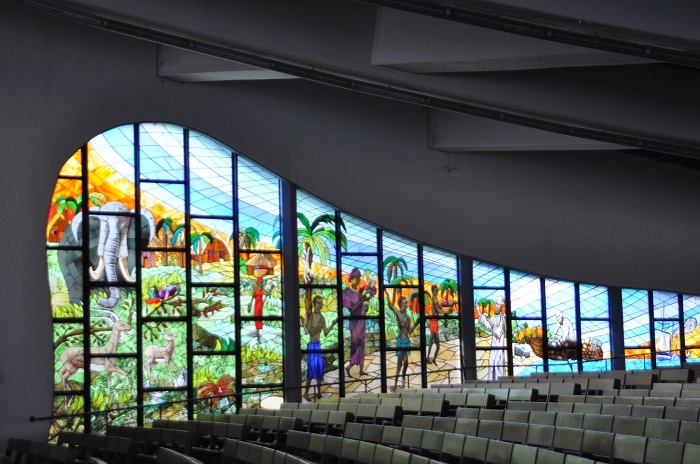 The artistic imagery inside the cathedral is not only Biblical in theme but also has a special focus on the Ivorian peoples’ faith in Christianity.